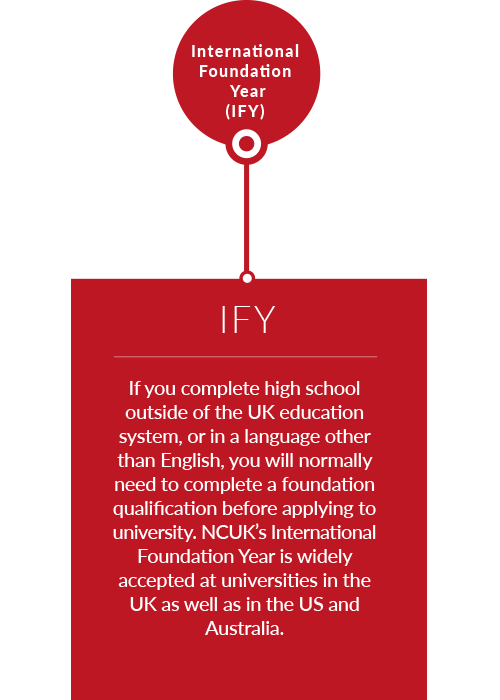 NCUK Qualifications – Your best route to university. NCUK qualifications are designed to prepare international students for university study with guaranteed access to universities worldwide. NCUK specialises in helping international students take the next step in their academic career. We offer a range of qualifications – whether you want to start your degree course in the first or second year at university or prepare for postgraduate study – NCUK has something for everyone. Because our qualifications are designed in collaboration with our university partners, they are of the highest academic standard. Studying with us will also help you to improve your English language levels and develop a range of study and social skills. International Year One (IYOne) – The International Year One is a credit-bearing qualification which enables students to study the first year of their UK Bachelor’s Degree locally at an approved NCUK Study Centre, with guaranteed access to the second year of their degree at an NCUK university. 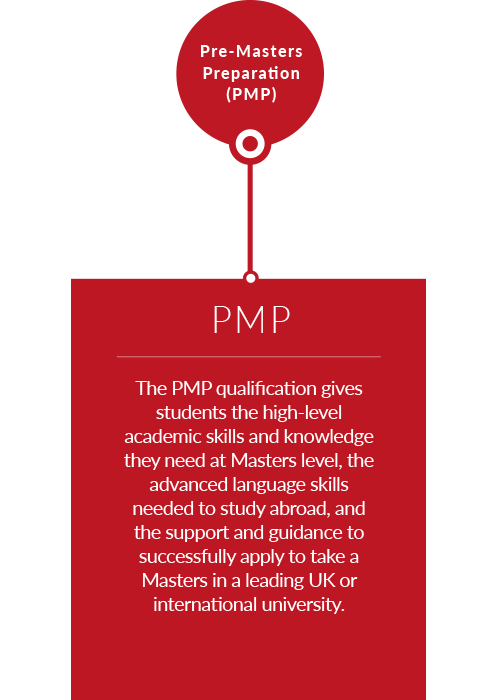 Master’s Preparation (PMP) – The Master’s Preparation gives students the high-level academic skills and knowledge, advanced English language skills, and a single point of contact for university application support and guidance to successfully apply for a Masters.